Nestled between the Whakatane River and a Pohutukawa tree lined escarpment lies White Island Rendezvous. Whether you’re travelling for leisure or in Whakatane on business, our 4.5 star motel accommodation has a room type to suit every traveller. A quiet location yet only minutes walk from Whakatane’s boutique shopping and numerous restaurants. White Island Rendezvous is the only motel accommodation in Whakatane to boast its own onsite café - a favourite amongst locals. Let our barista make you the perfect coffee to go with your gourmet breakfast. Choose to have it delivered to your room or enjoy in the atmosphere of the café, buzzing with adventurers about to head to White Island volcano. 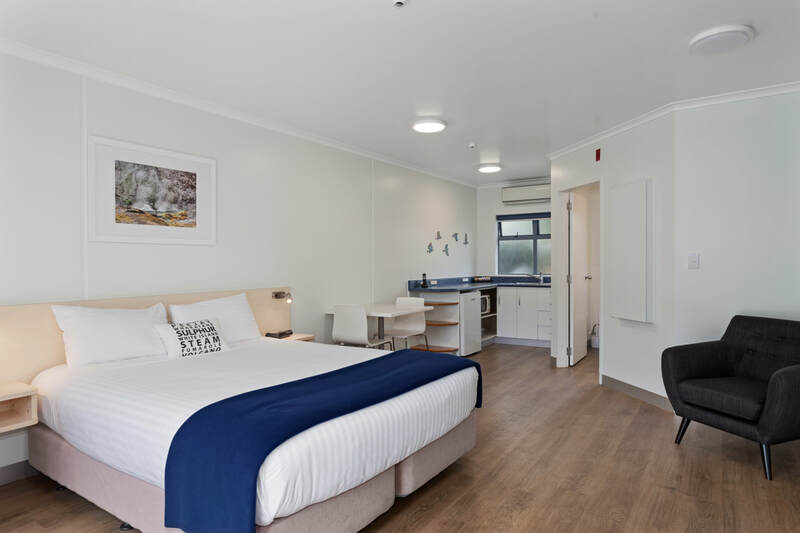 White Island Rendezvous has a room type for every traveller. Enjoy the spaciousness of a two bedroom deluxe apartment or the simplicity of a studio, the choice is yours. Find out about our packages including tours to White Island and other specials. 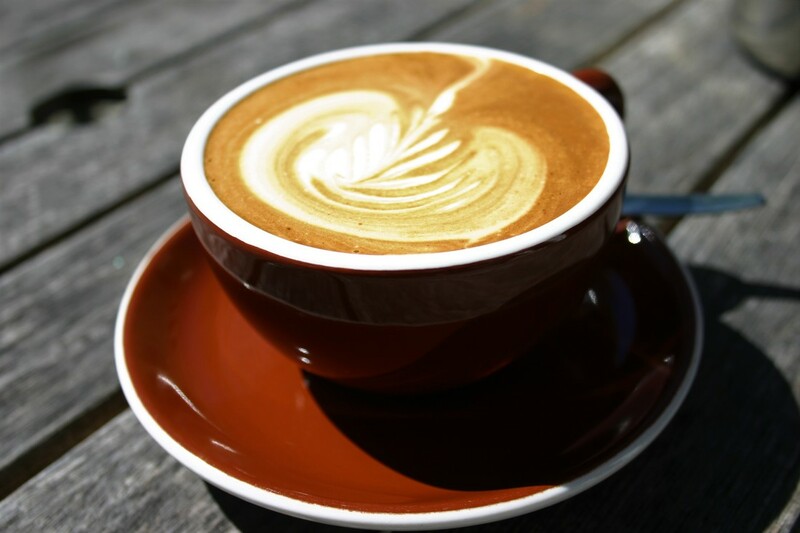 Kick start your day with an expertly made espresso coffee and delicious breakfast from PeeJays. The fresh tasty food has made PeeJays a favourite with the local lunch crowd.